Mani Maran’s real-life story starts from a humble beginning. He was born in a small village at the interior part of South India. Through his hard work and efforts, he came to the US in 1994 to work as a software consultant. Maran was a shy guy and did not know much about anything except databases, syntax and semantics. Though he was successful at his corporate work, when he ventured into business world, he was not so successful at it. He owned and operated restaurants, apartment complexes, real estate investments and a web development business. He was forced out of all these businesses during the economic recession in 2009, and reached the lowest point of his financial life. But these failures taught him great lessons. He searched for answers as to how to develop success. He reached out to business coaches and studied self-revealing books including the Napoleon Hill Leadership courses. These efforts helped him realize that success comes from within you. 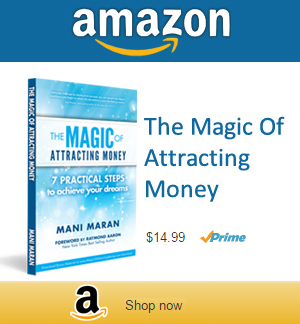 Now Maran has multiple sources of income now. Not only does he have a well-paying full time job, he also runs a successful Information Business and a thriving Real Estate business. In addition, he has completed a marathon, is captain of a tennis team and has written this book! 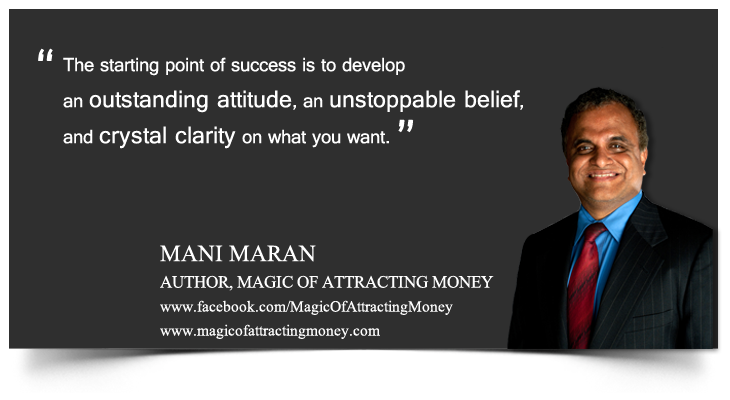 Maran wants to spread his hard-won wisdom and offer a message of hope by teaching people to think big, develop additional sources of income and reach financial freedom. Maran lives in New Jersey with his wife of 20 years, and their two talented boys. He loves playing tennis and likes the challenge of training for the marathon.